A new jailbreak tweak, going by the name of Audicy, is now available to download from the Cydia store and brings with it the ability to add both audio and video to iOS without the need for iTunes or cables. For those who don’t yet have the required media on their device, support for downloading from the internet via an array of sources is also there. A standalone app rather than a tweak built into either Safari or Chrome as some others are, Audicy supports the ability to take media such as video or audio and then import it into the iOS Music app, Videos app or Podcasts app, with those who want to add new ringtones likely to be pleased to hear that support for adding media to the iOS ringtones manager is also included. The full list of features that Audicy brings to the table is a lengthy one, and covers most things we could expect just about anyone to want from such a tweak. Media Importer works in either 3G/LTE or WiFi modes. Export to Audicy from within any external app that has such support for opening Audio/Video files. Use Audicy to open files in other apps using the option “Open In”. Use Audicy to share your files using major Social Media apps. Freely modify your media’s Metadata i.e. track number, title, artist, album name, genre and release year. 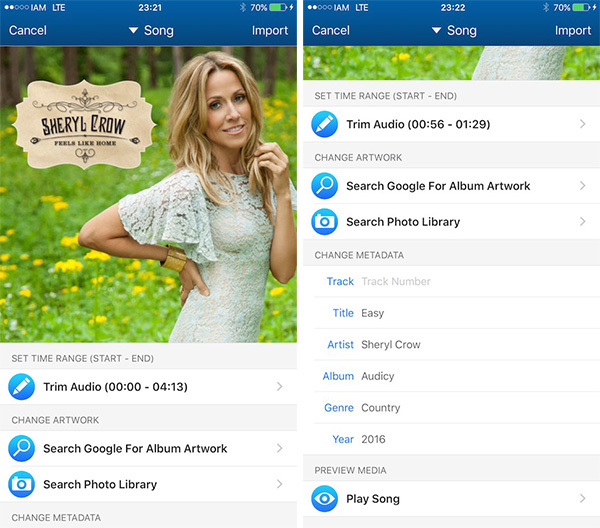 Browse your Photo Library for a different album artwork. Search Google Images for a specific album artwork using a beautiful interface designed exclusively for cover image search. Import multiple files at once like all the songs in an album to the same destination and let Audicy implicitly extract any embedded Metadata. 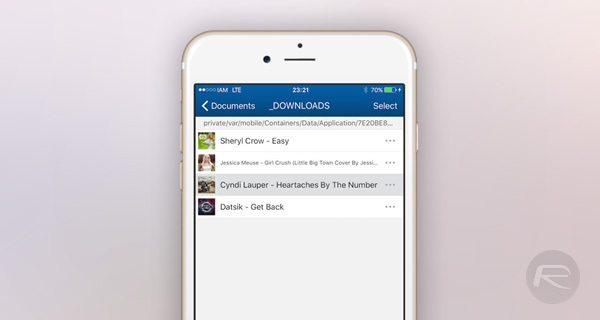 When Browsing your device for files, Audicy automatically extract any built-in Metadata and uses it to display more details about the file. Choose to be notified when the import process is done and conveniently get an option to open the destination app. Preview audios and videos before importing them. Choice of import types: Song, Ringtone, Podcast, Music Video, Movie and TV Episode. View a list of your imported ringtones with the option to rename or delete them. Audicy’s ability to take media and then liberate it from the clutches of iOS is an impressive one, with media able to be moved in and out of iOS apps as required via the standard Open In dialog. It’s this integration with iOS and its apps that makes Audicy full of potential. 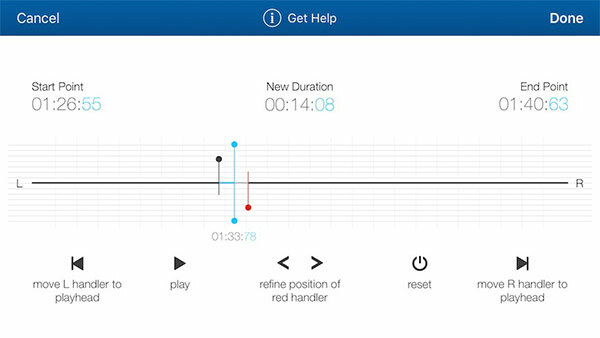 The feature list does run the risk of making the tweak seem inaccessible, however, if you you do find yourself overwhelmed, be sure to check out the twenty-minute video put together by the developer to avoid just that. Audicy is available to download right now on the BigBoss repo and will cost you $2.99. Audioexplorer does the same thing. That’s the way jailbreak rules.